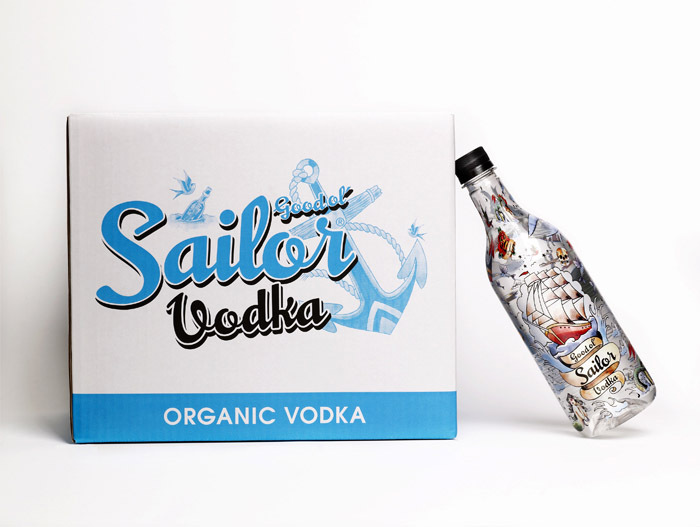 Good Ol’ Sailor Vodka. Sweden’s first vodka in PET bottle, and it’s organic. Design by Mattias Brodén. Found at The Dieline. 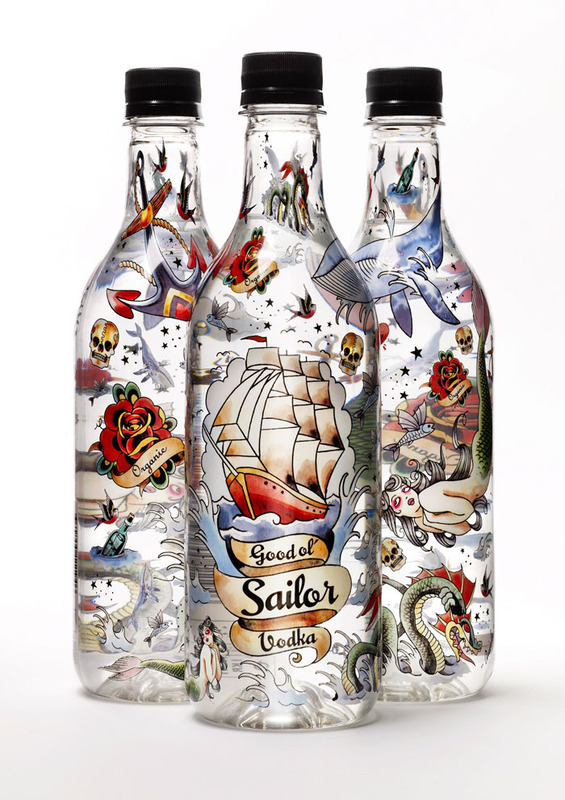 (Ews, I just read that this sort of looks like Ed Hardy : | ).